I wanted to come back with a question about how to distinguish who is an early adopter and how to understand how “ACTIVELY” they are searching for a solution. What is the term actively? I went through the framework 1.4, but I have a problem of distinguishing is this customer an early adopter or not. In customer interviews (I had around 500), I’m trying to find out how actively they are searching for the solution. 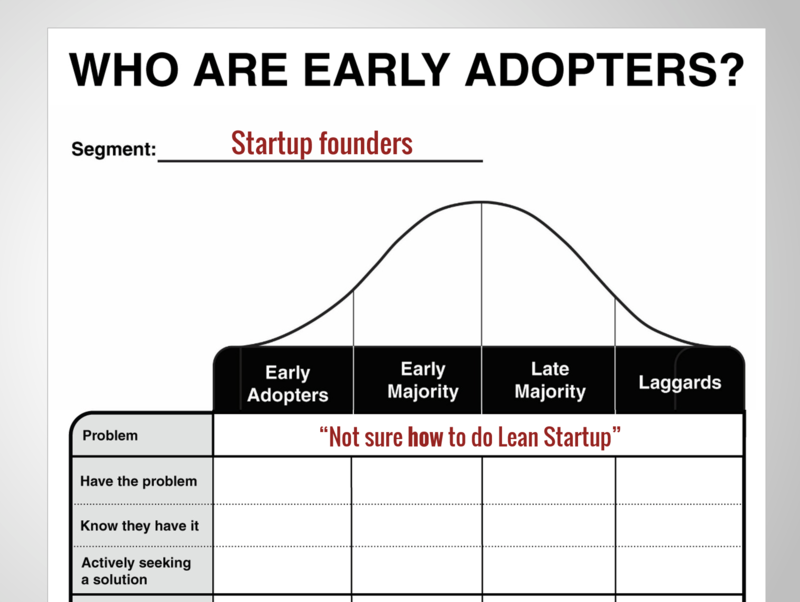 Some say “wau, this is exactly what I was looking for” => early adopter. Others, “we were looking for some opportunities as we were building the product” = ???. They sort of confirm that they have been looking for a solution, but I doubt that the term “ACTIVELY” is there. So my question is what actively means, and how to determine if a customer is looking for solution actively or passively? Thanks for the question Andris, it’s a great one. To me, someone is actively trying to solve the problem if they’ve sought out a solution in the last 6 months. You can adjust that definition as you see fit. I’ve learned a ton from you and appreciate all your expertise. 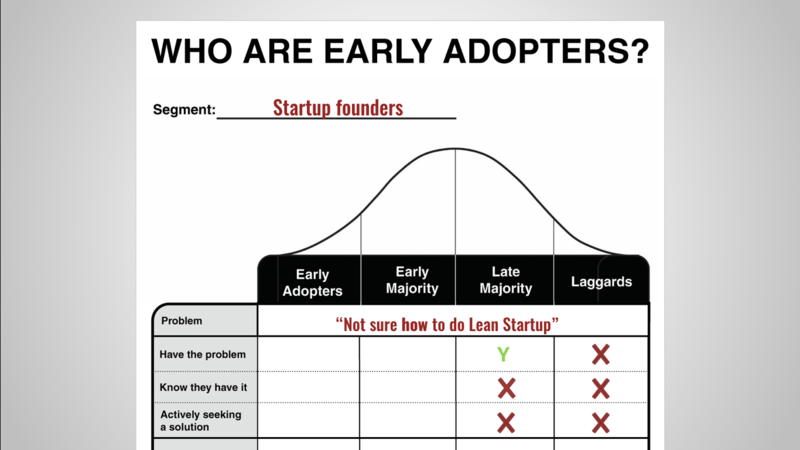 However, I think you may be wrong above in describing Laggards as literally not having the problem – according to Everette Rogers’ Diffusion of Innovation, while they are extremely conservative, slow-moving and change-averse, they do actually have the problem (even if they don’t know or believe they do). This Wikipedia post gave me a quick overview: https://en.wikipedia.org/wiki/Diffusion_of_innovations Thank you. You’re absolutely right, my definitions of these classifications are not identical to the definitions of Rogers, Moore or Blank. That’s because the definitions I find most helpful are ones that help me find members of these classifications. Where as the classical theoretical definitions sound great, I haven’t gotten much mileage using them to actually find early adopters. In fact, with many of these traditional definitions it can be easy to fall into the trap of treating these classifications as if they are personality types. You could assume that someone who is “extremely conservative, slow-moving and change-averse” would be a laggard for all innovative products which, in my experience, isn’t the case. People may be change-averse in one area of their life, but change agents in another. The way I tell the difference is to I assess their relationship to the problem I’m trying to solve. If you find the traditional definitions more useful in building your business, by all means, use them. Fwiw, the definitions above have served me well in terms of actually finding my Early Adopters.